Forest River's Salem Cruise Lite FSX travel trailers are easy to tow, fuel efficient, light weight, and affordable. 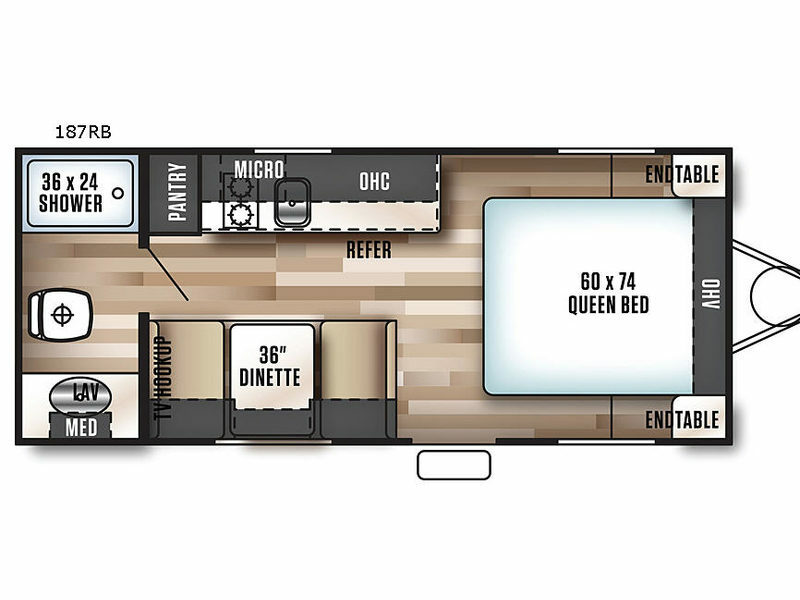 Each model is filled with all the comforts of home for a pleasant camping experience in a variety of traditional layouts. There is even one toy hauler model for those who like to take a few extra toys along and need the added room. All Salem models offer 7.5' wide construction, an aerodynamic radius front profile for fuel efficiency, a single piece seamless roof with a 12 year manufacturer warranty, and full interior stand up height. So, for all of your camping needs, choose a quality built, light weight, Salem Cruise Lite FSX travel trailer or toy hauler, and enjoy!